The Addiction Treatment Helpline is pleased to announce the opening of its newest office located at 1500 Market Street in Philadelphia. 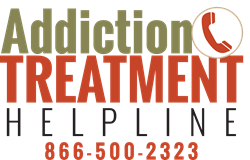 The Addiction Treatment Helpline currently serves the New England and Upper Atlantic states with a complete resource and database of important information for those seeking help with drug addiction and substance abuse issues. The mission of this helpline is centered on providing immediate help for those people who visit the site or call the helpline. Employees are dedicated to assisting individuals who are seeking comprehensive information about addiction and substance abuse, treatment programs and rehabilitation centers. The primary goal of the helpline is to be the most reliable source of information for those who are living with the terrible ordeal of addiction. This includes not only individuals who are addicted to or are abusing drugs and alcohol, but also those family, friends, and co-workers who are impacted by this disease. With new offices now located in Philadelphia, employees of the helpline will be able to better serve individuals located throughout the upper Atlantic states by narrowing their expertise to that immediate area. At Addiction Treatment Helpline, individuals will be provided with a wide range of information and referral services regarding drug addiction and all associated topics. As a complete resource, there is a detailed outline of vital information. This includes crucial data on what individuals need to know about: personal addiction, a loved one’s addiction, employee addiction and getting help for oneself, a loved one or an employee. In addition to being an information provider, the helpline also provides a complete referral service, helping to find treatment programs and facilities that can best meet individual needs. The Addiction Treatment Helpline offers extensive information regarding different types of addiction as well as signs and symptoms. This includes not only information on the more well known substances such as opiates, stimulants, alcohol and others, but also important details about the growing number of synthetic drugs. Also addressed are issues revolving around prescription drug abuse. Finally, Addiction Treatment Helpline offers extensive details regarding the range of treatment options that are currently used and how or where to find rehabilitation centers. This includes analysis and comparisons of detox centers, private drug rehab, 30-day, 90-day and extended care residential drug rehabilitation, outpatient and inpatient drug and alcohol rehabilitation services and sober living philosophies and communities. The Addiction Treatment Helpline is not only for those seeking help. They also work closely with the leading treatment and rehabilitation facilities to help them network with one another and connect them with those who need their help. This networking approach means that access to professional services and organizations is available to anyone who needs it. We received feedback today from an industry professional at a nearby substance abuse treatment facility who told us “we are extremely thrilled to work with the Addiction Treatment Helpline, to increase networking with others in the industry, and to collaborate on a similar goal of helping others find their recovery." For more information about the Addiction Treatment Helpline please visit http://www.addictiontreatmenthelpline.com. Individuals seeking assistance for themselves or someone they care about are encouraged to call us at 1-866-500-2323.